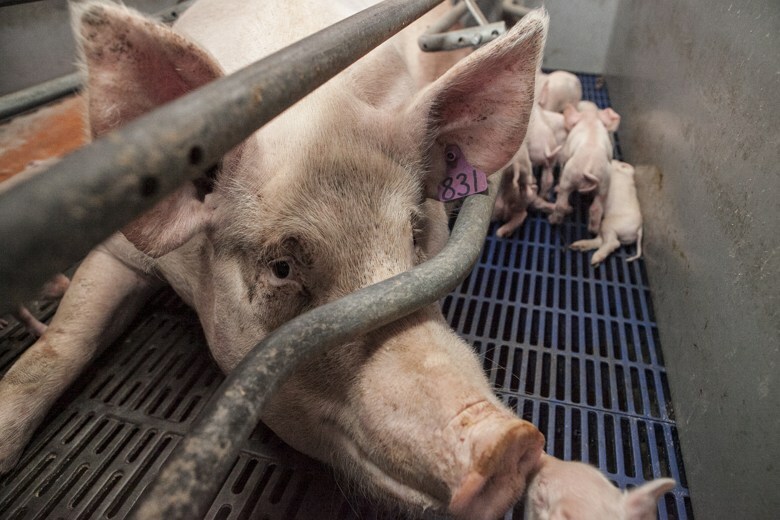 Gentle, social and highly intelligent, pigs have been reduced to little more than 'stupid' or 'filthy' footnotes when it comes to our consideration of the lives of animals. 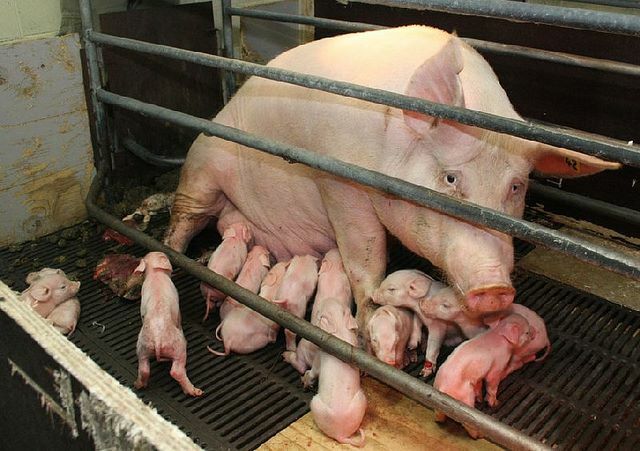 We've collectively decided that our desire for their flesh in the form of bacon or sausages far outweighs any desire pigs may have to live long, happy or healthy lives. 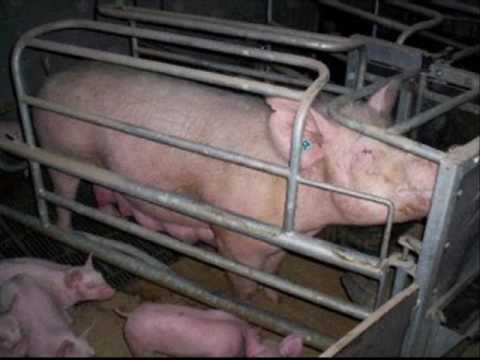 On top of the fact that they've been selectively bred to gro﻿w to abnormally large sizes, and suffer many health issues as a consequence, pigs also suffer some of cruellest industry (and standard) practices around. You can also learn more about pigs, via the good people of Farm Sanctuary here.